Where is the way out for Chinese foundry companies? The main problems currently existing in the foundry industry in China are: the average size of the foundry companies is too small, and the degree of specialization is not high; the technology and equipment of the foundry production are poor, the ability for independent innovation is weak; the quality of the castings is not high; the environmental pollution is serious; the energy and material consumption higher. From the goal of casting a strong country, our gap is not small. China, as a big energy country, cannot take its lead in the foundry industry, making the nation's foundry department and the relevant responsible person uneasy. At present, the country is actively supporting a group of potential exhibition companies to organize large-scale, powerful, high-quality and high-quality casting exhibitions, attracting foreign advanced equipment and technologies in the field of casting to domestic exchanges and sharing, so that domestic foundry companies can Casting Exhibition learns the advanced position of others and promotes itself so that the foundry companies in the country can develop and grow and gradually move toward a founding power. According to Deng Xiaohui, head of the 6th China (Tianjin) International Foundry, Heat Treatment and Industrial Furnace Exhibition (hereinafter referred to as â€œCasting Exhibitionâ€) Organizing Committee and General Manager of Tianjin Zhenwei Exhibition Co., Ltd., due to technical and equipment limitations China's foundry industry has not yet been able to fully produce some key castings that are urgently needed by various industries in the country, especially some highly demanding and demanding castings. To change the current situation, it is necessary to increase the restructuring and structural adjustment of foundry companies, develop specialized production, further expand the scale of advantageous enterprises, and improve the level of technology and equipment; it is necessary to increase investment in science and technology and establish a research and development center for enterprises. It also implements a three-in-one R&D system that combines production, education and research, and promotes independent innovation; it must take environmental protection and labor security as a major issue; it must vigorously reduce energy consumption and raw material consumption; it must further cultivate casting professionals and strengthen employees. The teamâ€™s technical training improves the technical and labor quality of employees in the industry. The above-mentioned restrictions are often difficult to solve and complete within a short period of time and within a single enterprise through the capabilities of some people. Deng Xiaohui, the person in charge of the Sixth Foundry Organizing Committee, said: To realize the grand goal of becoming a founding power, it is necessary to make concerted efforts to adjust the environment of the foundry industry through large-scale adjustments by the state and transform the foundry enterprises through social forces. The structural relationship, and the training of a group of capable technical personnel to increase technology research and development, the establishment of good communication and cooperation between enterprises and enterprises, so that the difficulties encountered by individual enterprises in the foundry industry have been solved, so that the bottleneck exists in the foundry industry All businesses are divided in their strength. At present, the international industry attaches great importance to the role of industry exhibitions. The exhibition will soon provide a platform for cooperation and exchange. It will also provide a comprehensive platform for companies in the industry to integrate into the industry, integrate the industry, and integrate the country into the international community, thereby greatly reducing the risks faced by individual companies and helping them Out of the woods. History and reality have repeatedly proved that the Chinese nation is a nation that is self-supporting, self-reliant and unwilling to be a person. Our foundry workers can also use their wisdom and sweat to make creative contributions to the revitalization of the industry. China will certainly become a founding power. 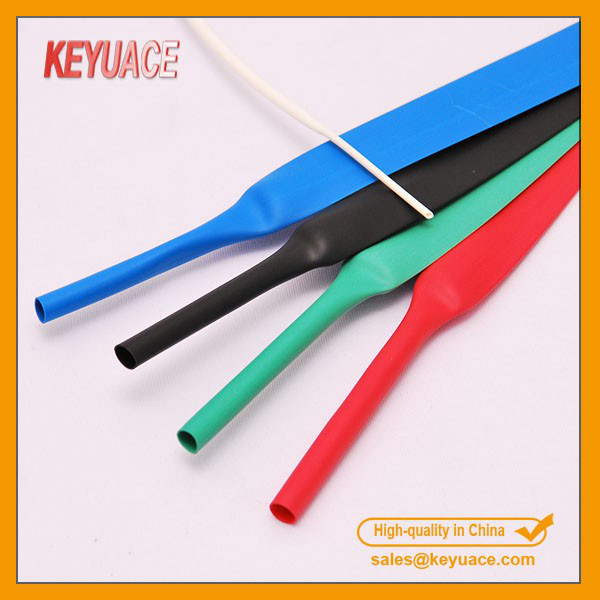 Environmentally friendly polyolefin heat shrink tubing is made of polyolefin material, Thin wall cable protection heat shrink tubing it has the function of insulation and protection.Flexible thin wall polyethylene heat shrink tubing it applies to electric components, coating of the wire harness, and protection of the terminal junction of the electric wire and cable, at the same time, thin wall heat shrink tubing it also has the function of color identification. 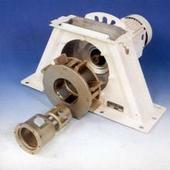 It's widely used in electrics, electronic industry, electrical industry, etc. Our Shrink Tubing feature and benefit :Shrink ratio is 2/1 with flexible, low shrink temperature,excellent physical and electrical performance. Free of PCBs, PCPs, polybrominated biphenyls (PBBs), polybrominated biphenyl oxides and ethers (PBBOs, PBBEs and PBDEs) and toxic heavy metal compounds, which are classified as environmentally hazardous substances. Conform to European RoHS environmental directive. Shrink ratio is 2/1 with flexible, low shrink temperature,excellent physical and electrical performance. Nonstandard size:Special sizes are available upon request. Standard packaging:On spools. Cut pieces are available upon request. Ordering description:Specify product type, size (mm or inch) and color.